It is hard to tell whether Arteflame grills are wood fired outdoor griddles or pieces of modern art. If you want to take your grill game to the next level then you are going to want to take a close look at these beauties. The Arteflame products are high quality, made in America griddles. They are the perfect reason to invite all of your friends over for the barbecue of a lifetime. There are two versions of the Arteflame products, stand alone grills and inserts that can be used with Weber kettles and kamado grills. To get a better feeling for this brand take a few minutes and watch this behind the scenes look at how the products are made. .Let’s do a review of what these grills can do and see if they are the right fit for your backyard. The Arteflame insert replaces the standard grate on your grill. The insert is made of 1/4 inch thick carbon steel and has dual functionality, The outer edge of the insert is used as a griddle while the included center insert can be used as a searing grate. Here is a video from White Thunder BBQ showing the insert in action making a killer breakfast sandwich. And here is another video look at the griddle from unboxing through its first use. You will have a ton of fun with the world of wood fired griddle cooking on your kettle. You will have a reason to fire up your grill in the morning for breakfast. You will start experimenting with new ways of searing steak. You can use your grill to make shrimp fried rice. Another benefit of the insert is that it gives you a legitimate reason to own more than one Weber kettle grill! Let’s say that you have been wanting to get a Master Touch or maybe even a Performer but couldn’t justify it since your regular kettle works just fine. You can buy the griddle insert and stick it in your old kettle and that one can be dedicated to griddle cooking. Now you will need to go buy that other kettle you have wanted so you can have one dedicated to regular grilling. That logic works for me! The inserts are available for 18, 22 and 26 inch kettles. They are also available for 18, 24 and 29 inch kamado grills. 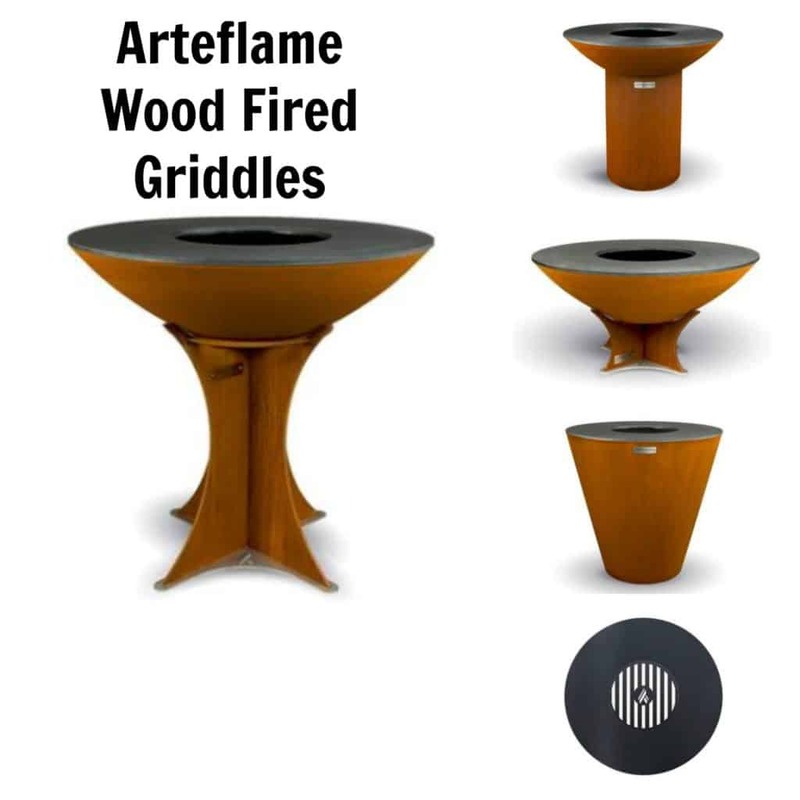 While it looks like there are a bunch of different versions of Arteflame grills there are really just two models with differences in size and mounting. The Classic and Euro series are the same grill with different styles and heights of the supporting base. The Classic and Euro grills have a 40 inch cooking diameter. The griddle itself is seriously heavy duty and made of 1/2 inch thick carbon steel. The body of these grills is made of a weathered steel that will continue to develop a patina over the years. Here is a look at the 40 inch Classic in action. She is a beauty! The One Series is similar in function to the Classic and Euro but with a different base. 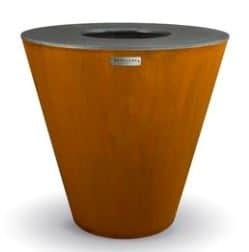 The One Series is available in multiple diameters (40, 30 and 20 inch). The thickness of the griddle changes on the smaller diameters. While the 40 inch One Series has the same 1/2 inch thick griddle as the Classic and Euro products, the 30 inch One Series has a 3/8 inch thick griddle and the 20 inch One Series has a 1/4 inch thick griddle. 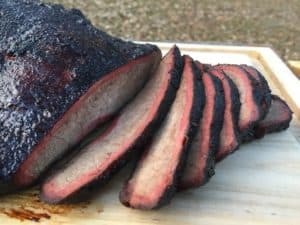 What is the best griddle thickness is a matter of debate. Some people like thinner griddles because they heat up faster. Some folks like thicker griddles because they hold more heat and recover faster when cold meat is placed on them. Here is a great breakfast cook on an Arteflame One Series 30 inch grill. Why Not Get a Gas Griddle? I am not going to give you a sales pitch on why a wood fired griddle is better than a gas griddle. The truth is that gas fired options like the Blackstone 36 inch griddle are amazing cookers that people flat out love. And honestly, if you are on a tight budget then a gas griddle is probably a better choice for you. All the same, here are some reasons why you might want to get an Arteflame instead of a gas griddle. Playing with a wood fire is fun. 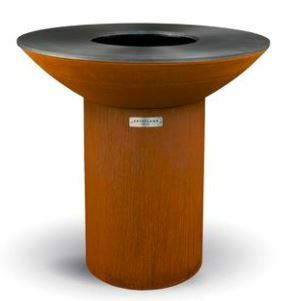 The Arteflame grills are beautiful. Another little gem about these griddles is that they are easier to clean than gas griddles. The griddle surface on an Arteflame is slanted slightly inward so grease drains into the fire. When you are done using the griddle simply scrape any remaining grease and residue into the fire and you are left with no mess to deal with.